When it comes to shopping for your pregnant body things can get a little harder than one would imagine. Pickiness, unsureness of whether you can pull a look off, items being boring in color or cut, unaffordable prices (let's face it, you're going to use these clothes for less than 4 months, at best), all of these things factor in to making the process difficult. 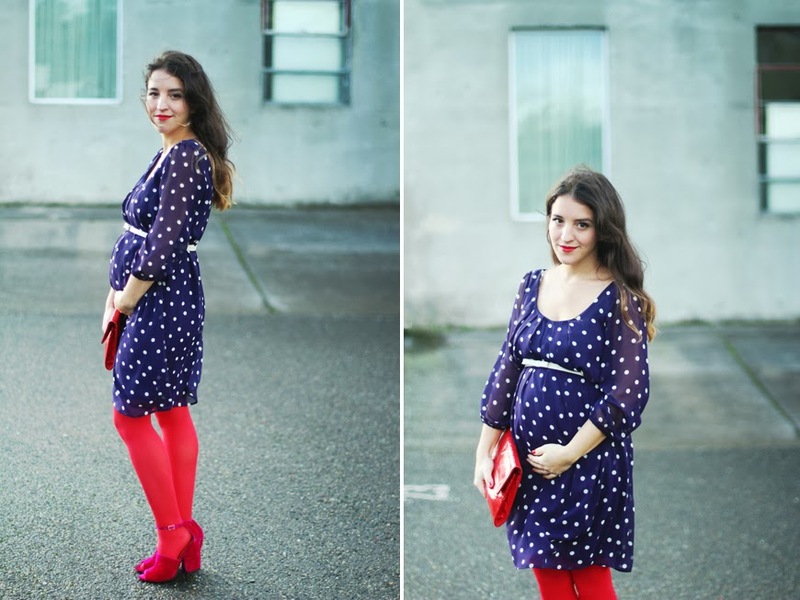 I recently discovered an online maternity clothing boutique that has a vast selection of affordably priced cute pieces. 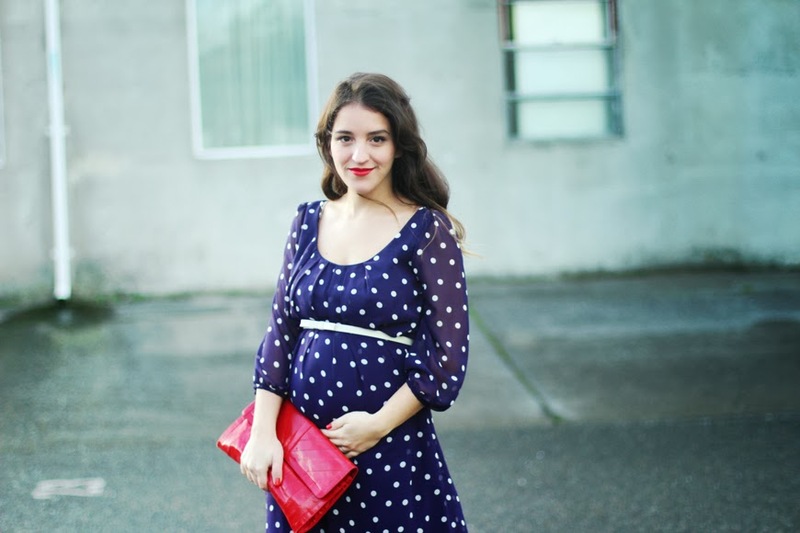 Browsing the site, I spotted a lot of basics and some more trendy maternity clothes. While the prices appealed to me, like most people I assumed the maternity clothes offered would be cheaper in quality as a result. 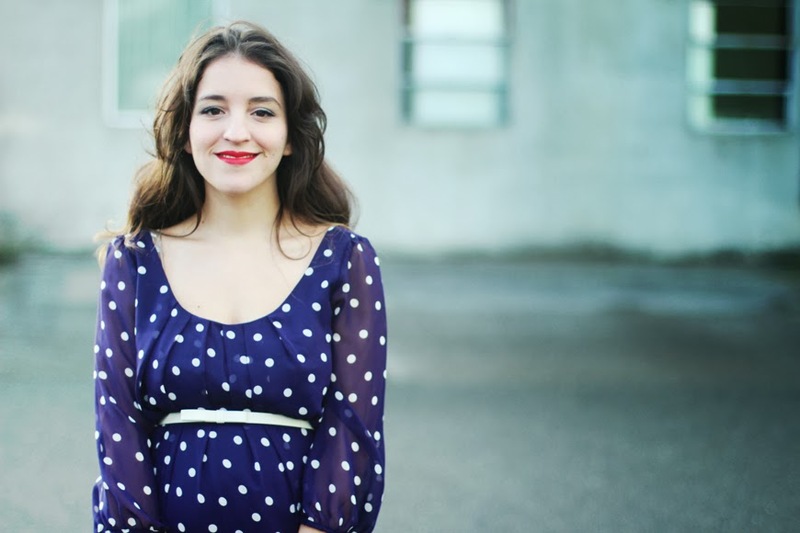 This polka dot blouse (I knew it would be a dress on me!) caught my eye and proved me wrong. Everything from the feel of the material to the leather belt that it came with was perfect. It's billowing sleeves give just the right amount of coverage, while their sheer nature keeps you from seeming like a curtain, covered in fabric. I'm still not quite pulling out all my maternity pieces, but this dress fit me comfortably with lots and lots of room to grow. It is perfect for wearing for a date night with a coat and tights during these colder months, but as the temperatures start to warm up, it is going to remain perfect for any occasion (paired with flats for a casual day look or bold heels for a dressier evening look). I'm excited to share that Pink Blush Maternity is offering a $25 gift certificate to one lucky (most likely pregnant) reader. Just enter below for your chance to win. Be sure to get extra points by liking them on Facebook and following their Pinterest, Twitter and Instagram feeds. If you have hosted a Pink Blush giveaway or have won one in the last 6 months you are not eligible to enter this giveaway. The winner will be directly emailed. I love your look! 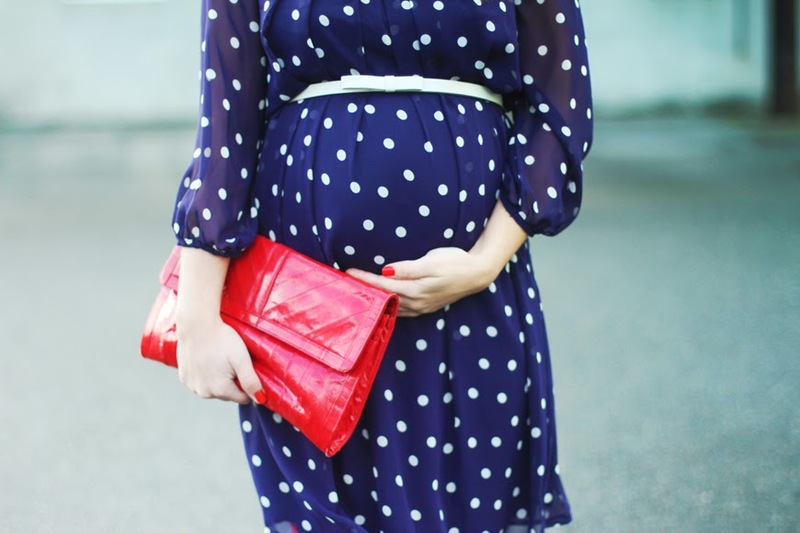 The red with the polka dots looks stunning. I would say my go to outfit has been maxi dresses with my jean jacket. I love the comfort of the look as well as style. I love wearing skinny jeans, bright top with statement necklace and ballet flats! I've had my eye on this dress, and you make it look fabulous!